The Exigo Lying Leg Curl is part of our exceptional selectorized Lower Body range, used to target and build the hamstrings, glutes and calves when strength training. Furthermore, this machine will help to strengthen the lower back muscles leading to better posture and reduced risk of injury. 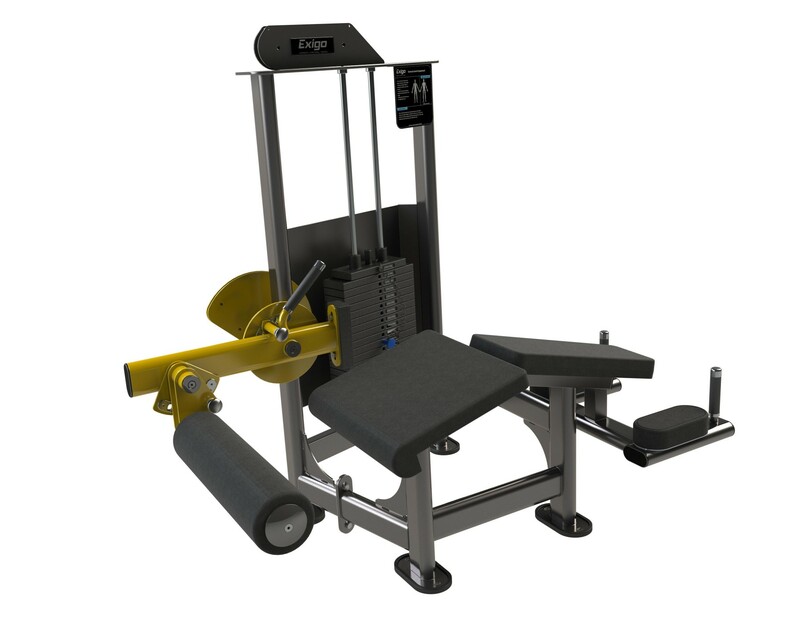 Designed and manufactured in our UK factory, this professional piece of gym equipment not only looks the part, but is built to withstand the conditions of a busy commercial gym environment. The Exigo Lying Leg Curl maintains a high quality finish, possesses durable upholstery and a robust frame. Engineered using optimal components, this machine’s smooth movement means it is a pleasure to use. It is ergonomically designed with an angled bench to isolate hamstrings, giving users the most beneficial workout. This machine also features adjustable leg pads for correct user positioning and hand grips for extra stability. Whether you’re a complete beginner or experienced athlete, this machine will certainly help you to achieve superior results. Perfect for any gym, home gym or training facility.